New 'Simba' sonar system can tell difference between terrorist infiltrator at sea and civilian swimmers and marine life. The Israeli navy has developed a mobile sonar system for precise location in shallow waters called the 'Simba,' Ynet reported. 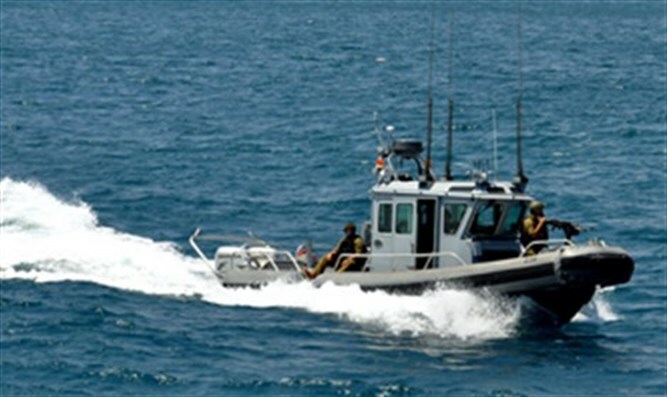 The system is designed to quickly locate terrorists who attempt to infiltrate Israel by sea. During Operation Protective Edge, Hamas terrorists attempted to infiltrate Israel by sea at Zikim Beach, near Kibbutz Zikim just north of Gaza. The IDF believes that Hamas has greatly improved its naval infiltration capabilities since 2014, and has now trained hundreds of terrorists to infiltrate Israel by sea using advanced diving equipment. Previous sonar systems used to detect infiltrators recorded many false alarms, forcing soldiers to put on their diving gear and dive when no actual threat was present. The 'Simba' system is far more accurate and efficient. It is mounted on a small and speedy Wasp-class amphibious assault craft, and can accurately identify an infiltrator in shallow water at a range of many miles, even if the infiltrator is hiding among civilian swimmers or marine life. "Within minutes, we will be able to identify the threat and act against it while still in the water, and eliminate it using grenades and other explosive devices," a navy officer told Ynet. "Its use will also prevent unnecessary harm to animals that live in water, such as sea turtles." "This is a sensitive and precise sonar that was originally developed for sea port security," the officer added. "We made adjustments that allow us to use it in the open sea. Currently the sonar is installed in the southern marine sector, but later on we will be able to use it at all our shores, including the Gulf of Eilat." "The enemy is looking for weak points through which it can penetrate our territory, and the underwater route is a complex area with great potential," he said. "On the other hand, we are currently invested in bolstering our defenses on this front. There are no countries in the world that deal with this issue with the same intensity with which we are dealing with it."